This week we hear from Gemma Pearce of Loopwheels about her experience of hosting a placement student through our Postgraduate Placements Nottingham (PPN) scheme. We’re a small award-winning company in north Nottinghamshire. We design, manufacture and sell an innovative product: wheels with integral suspension for manual wheelchairs, called Loopwheels. Our wheels make it easier and more comfortable for people to move about in their daily lives, especially on surfaces that aren’t smooth – like pavements, tracks and off-road. 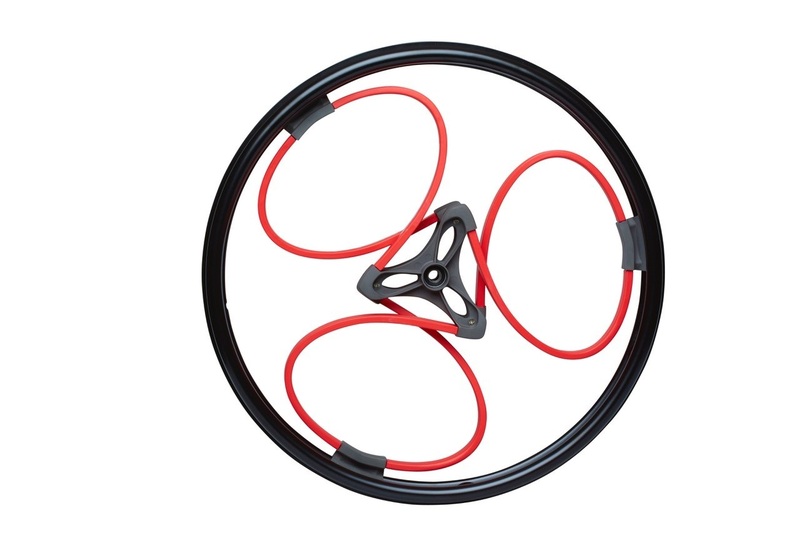 The wheels reduce vibration and jolting, which helps people manage pain. We launched the wheelchair wheels in 2015 and sell in more than 15 countries worldwide. In 2017 a customer survey told us that the number one reason people are buying loopwheels was to reduce the vibration they feel through their wheelchairs. We wanted to understand more about how vibration affects wheelchair users, and do further testing to find out exactly how much loopwheels reduces vibration compared with other wheels. We would use this information to influence our marketing and product development strategies. This felt like quite a discrete piece of work which would lend itself well to a project approach, so we jumped at the chance to advertise it as a postgraduate placement. We had a great field of applicants and shortlisted three for interview. We recruited Alex Hardy to help us evaluate and articulate the benefits of loopwheels. The project involved finding and reviewing published studies in this area, helping us undertake comparative analysis of loopwheels and competitor products, and carrying out further customer surveys using SurveyMonkey. Of course, as a PhD student, Alex was more than comfortable searching and referencing published research studies, working with technical data, writing up results and showing findings in impressive-looking graphs, so this was a real help to us. 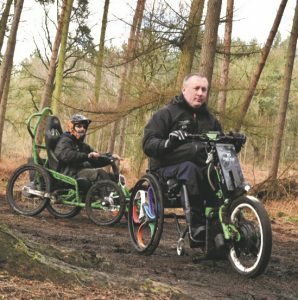 He also reached out to customers and our suppliers, and accompanied Loopwheels Sales and Marketing Director Ian Abbott on visits to some of our key UK dealers. One of these was on a particularly wet and windy day to Cyclone technologies in Widnes: I don’t think Alex expected that as part of this project he’d be offered the chance to ride at speed on an off-road track with a motor attached to a wheelchair . . . just shows that in a small company, you may get some very unexpected opportunities! Whilst he was working with us, a great new career opportunity came up for Alex in Nottingham and of course we wanted him to go for that. Alex was successful getting the new job so he didn’t complete his 200 hours project time with us, but we were delighted with the work he completed and very happy to be flexible. This is a great scheme, particularly for a small company like ours. It’s good for us to be able to bring in new skills and ideas on a short-term basis, and we’re now advertising a new project placement and looking forward to welcoming a new postgraduate placement member of the Loopwheels team soon. Ten months on, we’re still using the material and report that Alex prepared for us, and have just produced a new suite of marketing materials as a result. Alex’s short time with us will have a positive impact long into the future.